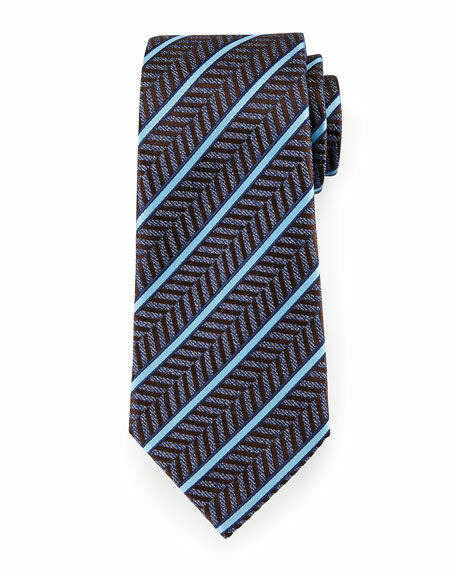 Ermenegildo Zegna tie featuring satin stripes on herringbone ground. Approx. 59"L; 3.5" at widest. For in-store inquiries, use sku #2064823.